Las Curvas II is a "traditional Mexican cantina and sports bar, located in the center of Merida, Yucatan, [Mexico], near the main market"
This picture was sent in by SS. He writes: "[Las Curvas II] is very popular with locals, especially on Friday afternoons, weekends, etc. 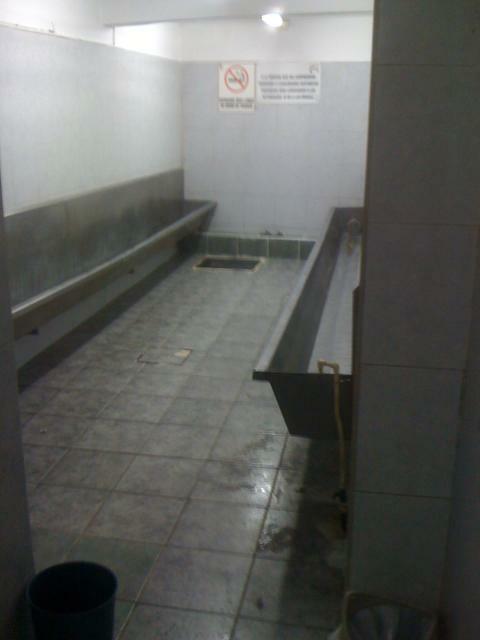 These urinals provide relief for around 15 - 16 people at once, and at peak times (half time during a televised [soccer] match for example) are very busy!"